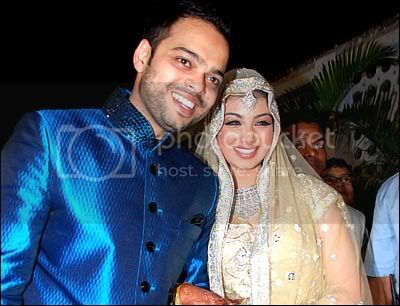 Ayesha Takia must have broken a million hearts when she decided to tie the knot with her long time boyfriend Farhan Azmi. The cute damsel is now back from her honeymoon and here is her latest interview for all you readers. So how was the Honeymoon trip? “We went all over Europe for our honeymoon. Farhan (her hubby) knows London well because he studied there. We relaxed, walked the streets, went into cosy cafes. Now we’re back in the heat of Mumbai,” says Ayesha. So how is she finding life after marriage? Even now, Ayesha and her husband spend more time with Ayesha’s family than with Farhan’s! After being in a relationship for a long time with Farhan, has marriage to him made Ayesha feel any different? The good part about being married to a restaurateur? Share Ayesha Takia’s Interview Post Marriage with your friends on Facebook.